Telecom operators in the country are currently focussing on launching voice-only prepaid plans to their subscribers. Vodafone Idea made this move by launching Active Recharges, and later on, it was followed by Bharti Airtel. Vodafone also launched a Rs 279 prepaid plan offering benefits for 84 days, which no other telco has provided in the past including Reliance Jio. 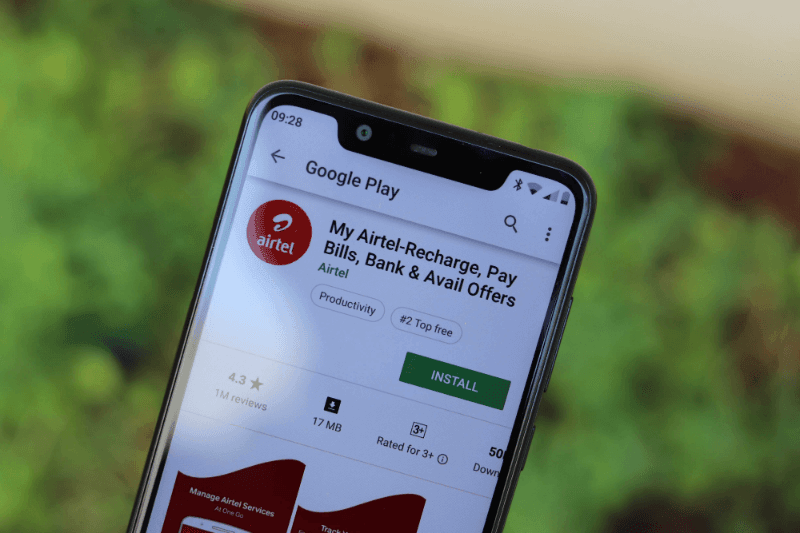 Following the footsteps of Vodafone, Bharti Airtel also launched a similar prepaid plan of Rs 289 and also providing exactly similar benefits of unlimited voice calls, 4GB of data. But do make a note that this plan from Airtel is valid only in some circles such as Kolkata and Delhi, but in other circles, the same plan is offering similar benefits for 48 days. Telecom operators are focusing on providing tariff plans with long validity and less price. What takes a hit in the process? It’s the benefits offered by them. The Rs 289 prepaid recharge in Kolkata and Delhi circles offers unlimited local, STD and roaming voice calls without any FUP limit, 100 SMS per day and a total of 4GB data which should be used during the entire validity period of the plan, that’s 84 days. Unlike Vodafone Idea, there’s no limitation on voice calling though as Airtel removed the same long back. But if the telco finds any non-commercial usage with the voice calls, it will revoke the tariff plan from your account. Airtel made a change to the Rs 289 prepaid plan and launched it in Kolkata circle because the plan was already introduced by Vodafone in some circles. Just a couple of days ago, we reported about Vodafone’s Rs 279 prepaid plan which is the first tariff plan to launch under Rs 300 with 84 days validity. Airtel follows the footsteps of Vodafone by revising the Rs 289 recharge. With its Rs 279 plan, Vodafone is also giving a user unlimited voice calls capped at 250 minutes per day, 1000 minutes per week along with 100 SMS per day and 4GB of 3G/4G data. Notably, Vodafone also introduced the plan in select circles only like Bharti Airtel. It has become a habit in the Indian telecom industry to roll out new tariff plans right after an operator launches it. Even the market leader Airtel is following the same. Now, what next from Airtel? Well, the telco could launch a new tariff plan under Rs 200 with 56 days validity. As Vodafone already launched its Rs 189 prepaid plan with unlimited voice calling and 2GB data, Airtel might come up with something similar to attract its users. But what separates Vodafone and Airtel is the calling benefit. While Airtel offers voice calls without any FUP limit, it’s not the case with Vodafone as it caps voice calls on a daily and weekly basis. Both Vodafone and Bharti Airtel are bringing new tariff plans to their prepaid users in a tandem. Vodafone, in recent times, introduced the Rs 279, Rs 189 prepaid plans aimed at voice calling users. On the flip side, Airtel launched a plethora of plans such as Rs 97, Rs 168, Rs 159, Rs 195, Rs 289, Rs 417 among others aimed at various users. As an industry first, Airtel brought a prepaid plan offering 3GB daily data for 14 days under Rs 300. Offtopic- Vodafone keep calling. Every person 5-7 times in a day postpaid users who ported out from their network . My co office boys getting this Calls daily .. Vodafone is doing very hard to get this sorted .. but no one one reAdy to come their network at all. Vodafone gone Worst after idea merger after this ..It is worst than Jio was facing Connection of interconnection from other network in 2017.. I didn’t gave any issues on either Vodafone or Idea in last one year. Yes, internet has taken hit, but it’s usable. By the end of next four tog five months it will be improved network in my opinion. Also that time there will not be any need of calls like these to customers. One more important thing,Vodafone/Idea VoLTE is more stable than Airtel to be frank. Let’s see what happens. Profitability is the key, for that margins needs to be higher than operational cost. For next three to four years, profits won’t be there. I hope Gopal Vittal understanda this(more than anyone else). Even for Jio. They have made huge investments. It’s really big. I don’t see getting that recovered before 2025 even if they start increasing prices since next year. People from BSNL will shift to Idea-Vodafone instead of Airtel. First step they need to take is, remove daily and weekly FUP. Most people don’t hit the FUP limit (call minutes), but as per human phycology, its better to have peace of mind of having true unlimited plan.